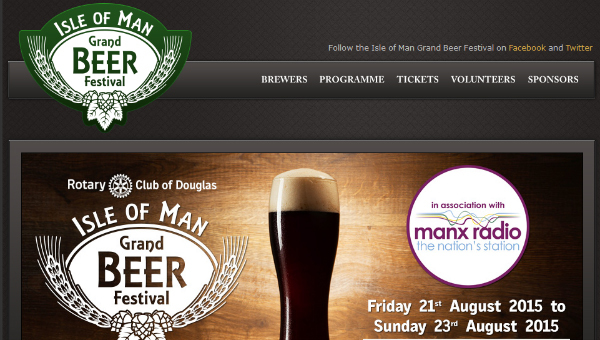 August 2015 brings you the first Isle of Man Grand Beer Festival, brough to you by Rotary Club of Douglas. The fantastic event promises to be a celebration of beer from the Isle of Man and the UK, with a selection of 100 beers to choose, from breweries and micro brewers. This plans to be an annual event on the Islands calendar from now on and will bring visitors over specially for the event. This is a non-profit event and all proceeds will go to helping worthy charities, as is the nature of the Rotary Club. Tickets can be purchased now from the Villa Gaiety via beerfestival.im where we also recommend you sign up to the newsletter so you don’t miss out on any of the exciting news yet to be announced. Services: Brand, Design, Web, Social Media, Email Marketing, On-going Consulting. We’d love to find out more about your project, fill in the form below and we’ll get in touch.